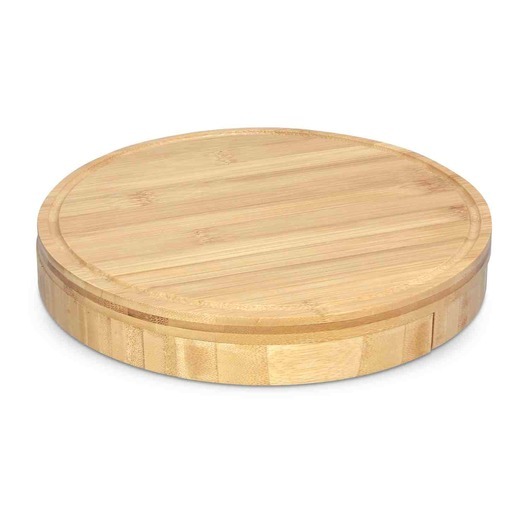 A stunning cheese board that swivels open to reveal cheese knives and forks. Introducing the rustic Kensington cheese board. 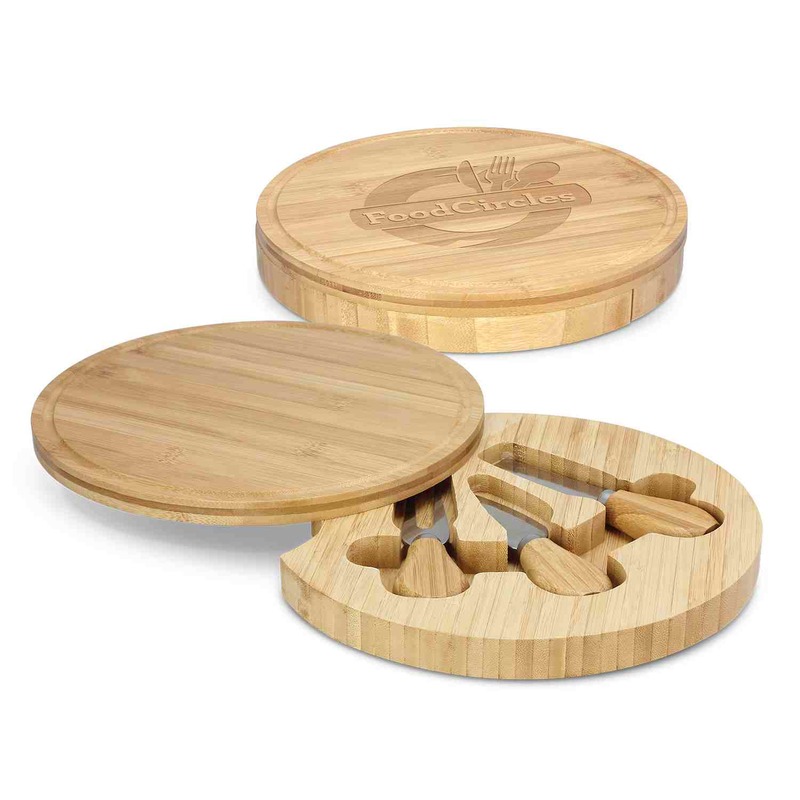 Made from bamboo this cheese board swivels open to reveal 2 cheese knives and a cheese fork stored neatly inside. These are a premium gift idea that cheese lovers will cherish. Decorated with a laser engraving, we can brand these on the inside or top of the board.